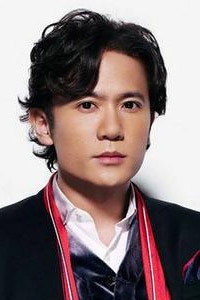 He is a very special person I've ever seen in all JDorama....Very talented in singing and acting. Also have a very beautiful eyes. If there any vote for the most beautiful eyes, I'm sure he will be the winner! Gambate ne Goro! Love you with all my heart! When i was first introduced to SMAP, i instantly became attracted to Goro! Goro is my favorite member in SMAP, and i like how he can be so shy. Plus he's cute, handsome, funny, and a great singer and actor! He's always the quiet and gentle one in SMAP. I was captivated by his mysterious eyes. It seems that he can always look through your heart. Although he seldom smile, but he look kakoii!! His acting is improving!!! He is Kawaii, always give me a feeling that he is someone shy..Ganbatte, Goro Goro..
Smap~ member!! He looks cool at times.. but can be really funny espacially when u watch SmapxSmap. Goro's taken on more diverse roles recently...not just a cool guy anymore. Getting great! hes hot his smile is sooo cute he look so innocent and promising i want to marry him!!! Very cute and kakkoi. Started watching Jdoramas because of him. He's just great! And no one does B-A-D quite like him. he's so cute and shy and gets really into his roles. he's so urbane and shy. its a nice combo. Good actor! I like him. He got a cute smile.